Neon lights came with a boom in the 90s and the craze never died down ever since then. Bands have been writing songs about them and business schools have been writing lore about how they boost sales. They are the “knights in shining armor” of the sales industry that have saved quite a few hotels, restaurants, and motels over the last few decades. Neon signs are legends who command respect, so today we will explore their importance, fortitude, and advantages. Center of attraction – neon sign boards are hard to miss even when driving down the highway. When you combine the bright colors to create your brand logo that automatically becomes the center of attention for the many potential customers and clients who are out there. Unleash your creative instincts – the neon sign boards are easy to design and maintain. You can easily create your brand logo on a neon sign board and add other creative elements to make them attractive. They can be morphed into any silhouettes. You can especially see the limitless creativity on neon signs and storefront signage while driving through Las Vegas, Dallas, Miami, and so on. Since they don’t need a lot of money to be designed and installed, you can give enough freedom to your creativity for designing the perfect neon sign. Longevity – believe it or not, a well-designed neon signboard can serve you for at least 10 years. They are a one-time investment that can keep drawing crowds to your business for years without any new expenses. Just choose the right sign with your brand name on it and reap the benefits for at least a decade. A study published on Beery, 2002 showed that out of 100,000 shoppers about 29 percent make their retail store choices depending on the information displayed on the signs. About 68 percent of the participants in a survey conducted by Ketchum Global Research in 2012 said that they bought a product or service simply because a neon sign caught their eyes. How can they now? They are incredible and alluring! Anyone who has a neon sign must have something wonderful to sell. On top of this, the business is saving you time by informing you what they are about. This can add some credibility to their name. More than 70 percent of the participants from the same survey believe that the quality of a signage shows the quality of the products and services offered by a brand. A poorly made neon sign with misspelled words can lose over 52 percent of their potential clientele. Neon signs are effective advertising that cannot be replaced by any form of social media marketing and/or digital advertising for a brand. Stores with ongoing end of season sales and special offers have always enjoyed increased sales with customized neon signage. These signs help the products move faster and means each product is sitting on the shelf for less time. People want to know what you are selling and what you are about. There are multiple cities and their businesses that are known and remembered for their neon signs like The Coppertone Girl, Miami, Grain Belt Beer, Minneapolis, Vegas Vic, Vegas, Schrafft’s, Boston and the Made in Oregon sign. 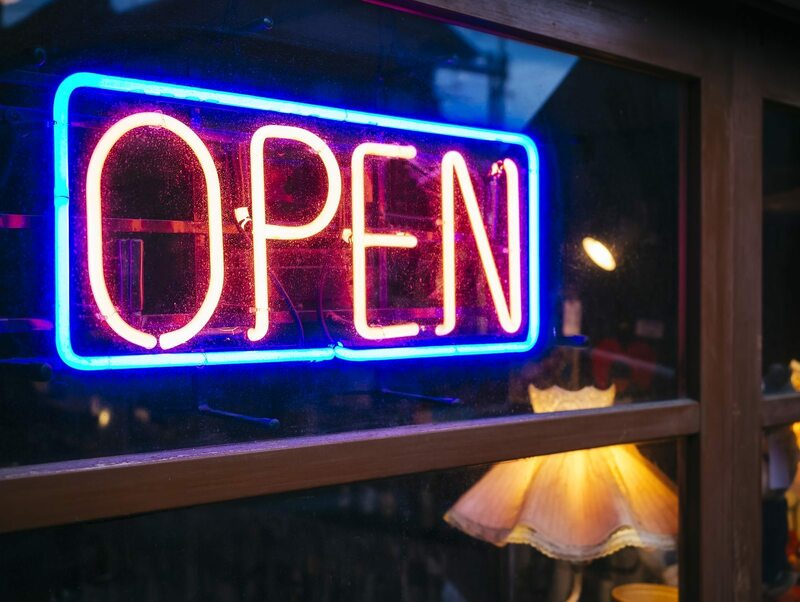 Neon signs are still the favorite of many retail store owners and shopkeepers because of the extensive freedom the platform gives. You can advertise for anything, from beer to bed and breakfasts and people will take notice. You do not need to approach advertising agencies, you do not need the aid of media (including magazines, TV, and newspapers – though they could help, no one is saying they do not matter) and yet you can reach out to your target audience with substantial effectiveness.